Ear infections happen when a cold, flu, infection, or allergy attack leads to fluid becoming trapped in the middle ear. They are more common in children than adults. The middle ear is the small space behind the eardrum, with infections of this region referred to as ‘otitis media’ or ‘swimmer’s ear’. If the infection goes deeper into the ear canal, this is an inner ear infection, or ‘labyrinthitis’. 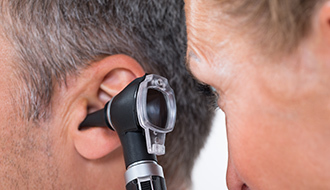 In the middle ear, the space behind the eardrum is usually filled with air, and contains three tiny bones which carry sound from the eardrum into the inner ear. This space connects to the throat via the Eustachian tubes. If this space becomes inflamed or filled with fluid (such as pus) generated by the immune system during a common infection like a cold, bacteria or viruses, it becomes swollen and difficult to drain. This can lead to a proliferation of germs, leading to an ear infection. 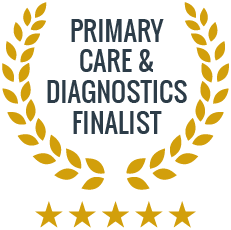 We have an excellent team of specialists who can help you diagnose and treat your symptoms and advise on the best possible methods of care. Give us a call to make your appointment today, or use our online booking system. Are ear infections especially common in children? Yes. It is thought that 60-80% of infants under 1 year of age will have at least one ear infection. 80-90% of infants will have had one by age 3.